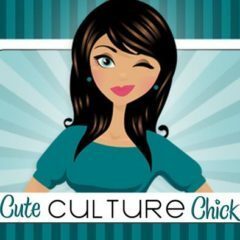 Recently I was approached by a marketing company to review a product on my blog. I like free stuff, so why not? I was promptly shipped a package of Pepperidge Farm TimTam Chocolate Crème Sandwich Cookies. They package touts them as “Australia’s Favorite Cookie”. And since I’m a fan of many foods foreign, and I had read a very positive review on Phoood, I was excited to give it a try. 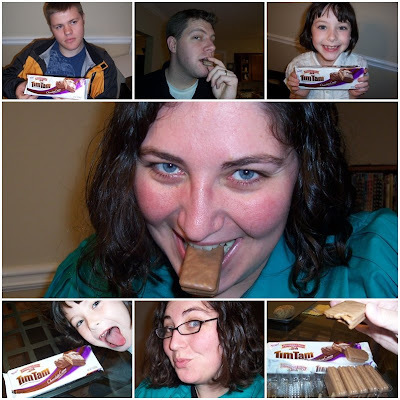 I included my husband, daughter, and a friend for a full-bodied review of TimTams. I was first suprised at the crunchy wafer. It is more like a graham cracker than a traditional layered wafer cookie (that has a crunch similar to a KitKat) It reminds me of the Ghiradelli chocolate-covered graham cracker cookie. The chocolate fudge is just the right amount of sweet. I enjoyed the difference of texture between the layers, and the crème in the middle is AMAZING. It makes a great complement to a cup of cocoa or tea. My husband said that it was really satisfying and he’d eat more if they were in the house. My friend Clint said they were “delightfully delicious.” Rosie said “it’s GOOD! I loved it! I wish they gave us more” The four of us devoured the package within a few minutes, and were wanting to head to Target to buy more. They are only available on a limited basis at Target until March, so make sure you grab a package next time you are in the store.